Following in the footsteps of its predecessor, which was the world’s best-selling EV, the new generation Nissan Leaf is now available to order across Britain, with deliveries starting in February. Pricing stretches between £21,990 ($29,691) and £27,490 ($37,117), for the entry-level Visia and top-of-the-line Tekna, respectively, and it includes the £4,500 ($6,076) Government Grant. 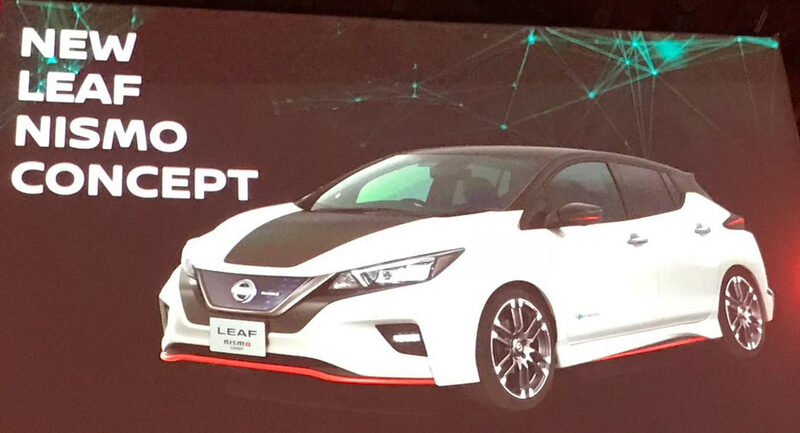 Those on the lookout for a more exclusive model can order the Leaf 2.Zero special edition, which comes in just 1,500 examples, and is positioned between the N-Connecta (£25,990) and Tekna (£27,490), carrying a starting price of £26,490 ($35,767). Setting the special edition aside are the two exterior color choices called Spring Cloud and Pearl Black, alongside a generous equipment list that include 17-inch alloy wheels, an infotainment system with 7-inch display, six-speaker sound system, and 360-degree camera system. 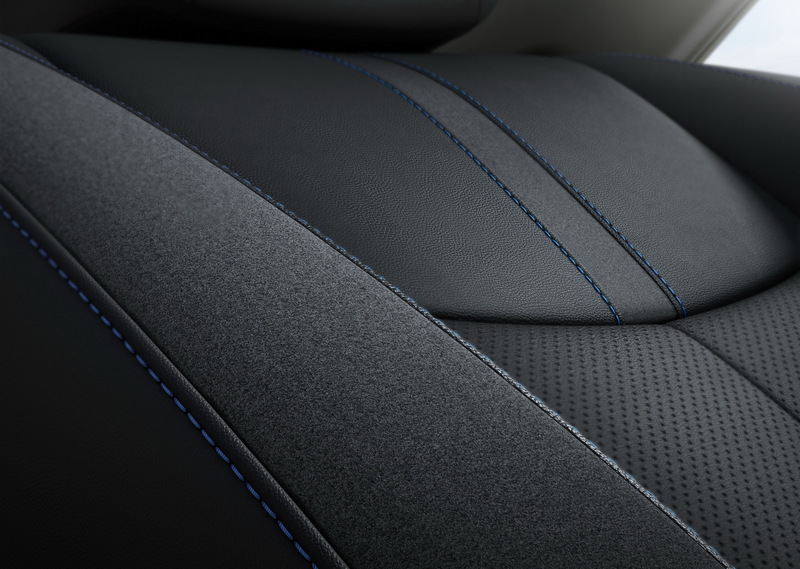 The Leaf 2.Zero also gets a heated steering wheel, heated front and rear black suede-effect bio-fabric seats, ePedal, and ProPilot semi-autonomous driving tech. 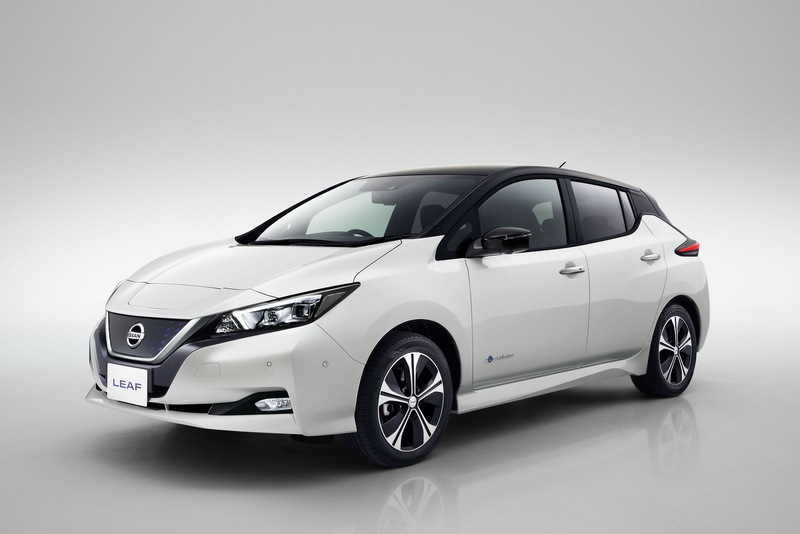 Nissan claims that with the extra bits, the 2.Zero represents a £535 ($722) saving over the N-Connecta, if they were specified separately. Regardless of the trim level, all units of the second-gen Nissan Leaf have 150PS (148hp) and can be driven for up to 235 miles (378km), as per NEDC, on a single charge. 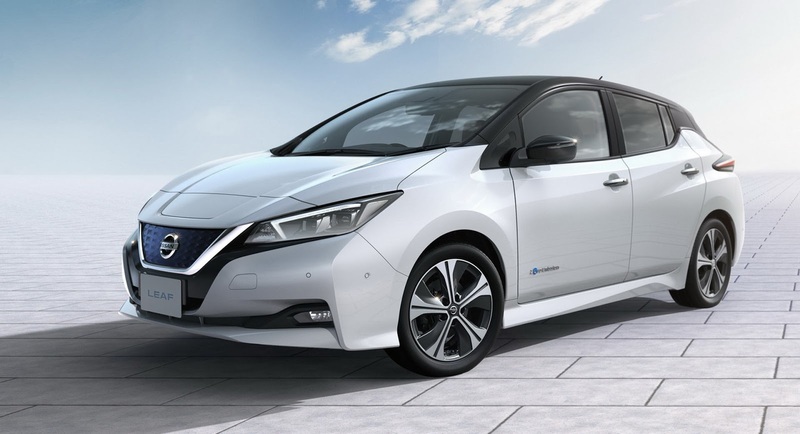 Nissan was pleasantly surprised with the customer interest on the new electric Leaf as more than 10,000 people in Europe have already placed an order. 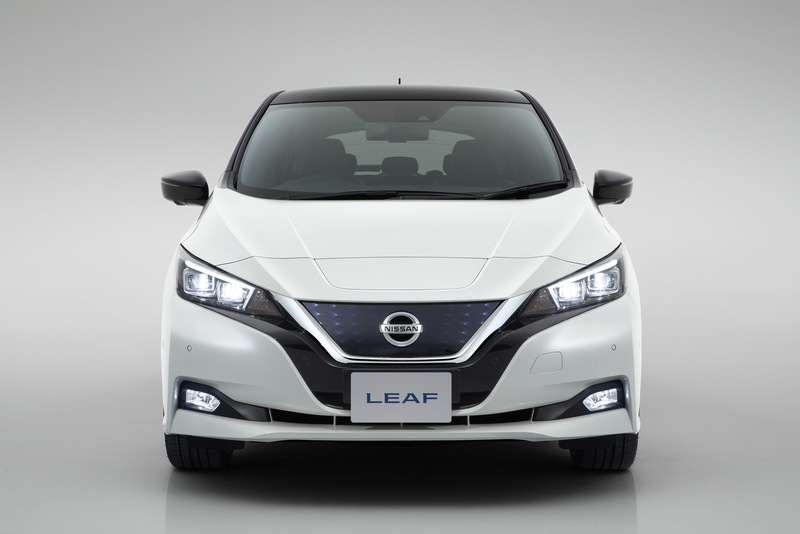 It’s been two months since the company has opened the order books for the second generation Leaf, with Nissan reporting a strong and consistent demand for it across European markets. During the same time point back in 2010, the original Leaf had just a few hundreds of orders, as EVs were still an unproven technology. 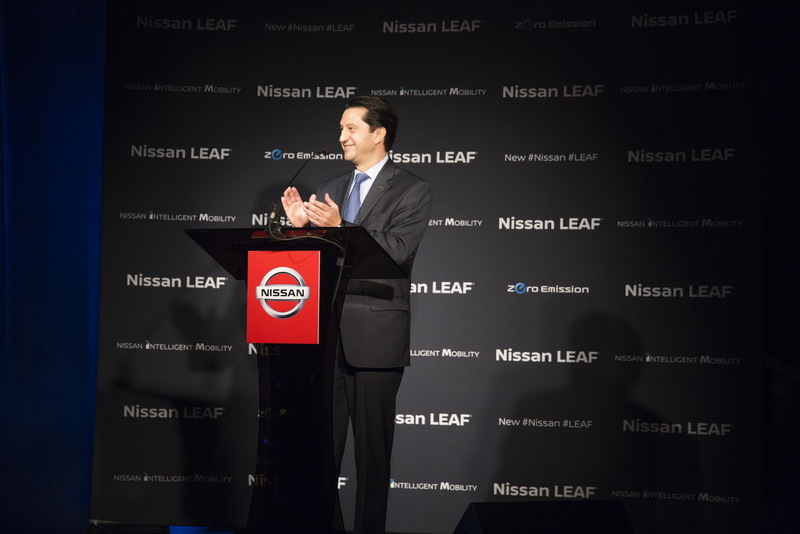 Nissan expects orders to further grow as the new Leaf starts to hit dealerships from February 2018 in Europe. 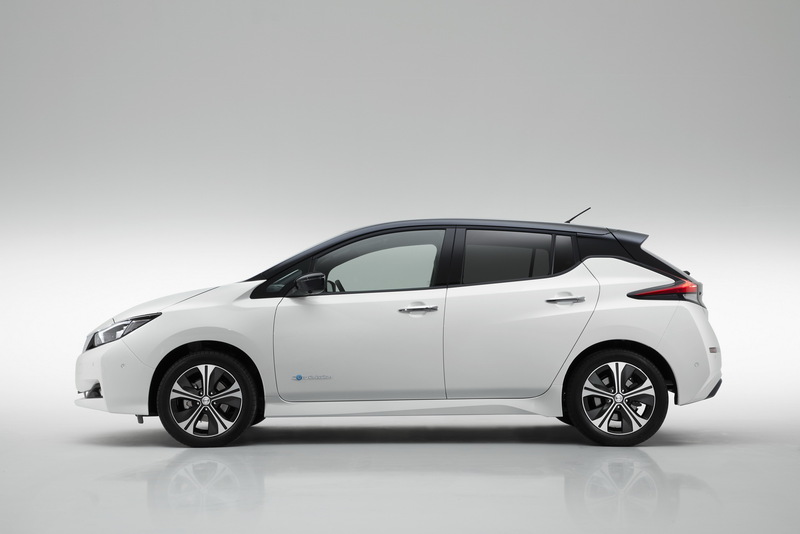 The new Nissan Leaf offers 147hp (150PS) from its electric motor and an official driving range of 235 miles according to the NEDC, thanks to its larger 40kWh battery pack. 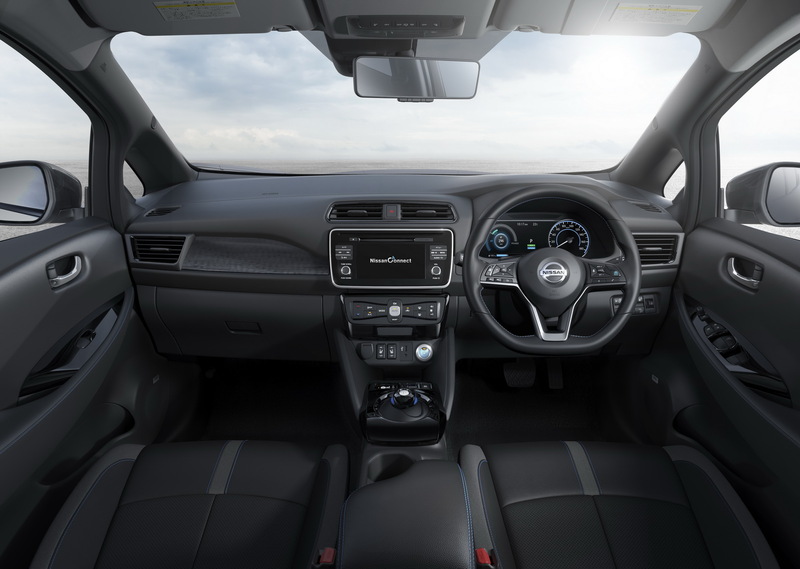 Nissan has also added features like the semi-autonomous ProPilot system, the e-Pedal, a seven-inch infotainment system and the Intelligent Around View Monitor to the new Leaf. Nissan has announced a bunch of premieres for next year’s Tokyo Auto Salon, which opens its gates on January 12, one of them being the Leaf Grand Touring Concept. The show car is not as aggressively styled as the Leaf Nismo that debuted two months ago, but it does get a few interesting bits, such as the two-tone black and matte silver finish. No images of the interior have been released yet, but the automaker describes it as “stylish and sophisticated” thanks to the addition of some special accents. We wouldn’t be surprised if some of these features will be adopted by a new trim level of the electric car called ‘Grand Touring’, in the Japan at least. The ‘Grand Touring‘ moniker has been used again on an X-Trail Concept, which will go under the spotlight at the Tokyo event as well. 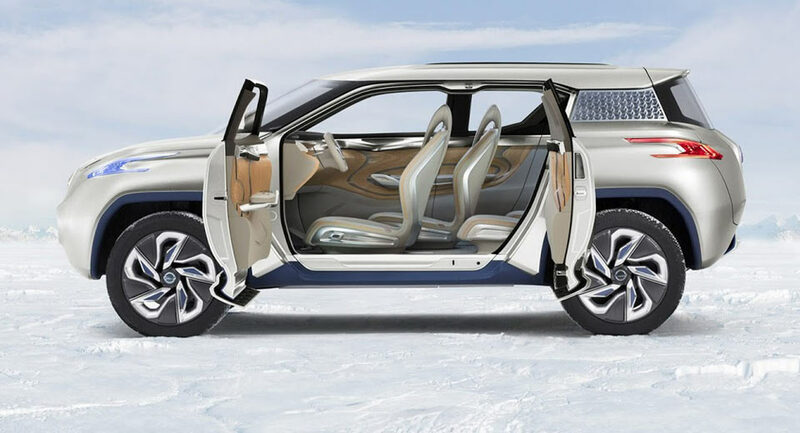 This version of the SUV, which is known on our shores as Rogue, is aimed at those loving the outdoors, and it gets a special exterior graphic, and some different trim in the cabin. There’s also a Nissan NV 350 Caravan Grand Touring Concept heading to the 2018 Tokyo Auto Salon, which goes for an ‘off-road look’ as well, equipped with BF Goodrich all-terrain tires, special exterior accents and decals, and minor tweaks inside. Nissan has a few more surprises in store too for the event, including the Fairlady Z Heritage Edition, a special version of the 370Z, the Note e-Power C-Gear, an “outdoor version” of the vehicle, and three new concept cars called Serena e-Power Autech, Note e-Power Autech, and X-Trail Autech. Elsewhere, visitors to the brand’s stand will also get to see the GT-R Nismo, Note e-Power Nismo, X-Trail Nismo Performance Package, Serena Nismo, Leaf Nismo Concept, and Motul Autech GT-R racer. The all-new Nissan Leaf has officially gone into production at the automaker’s plant in Sunderland, UK, as the first European customers will be receiving their cars in February 2018. 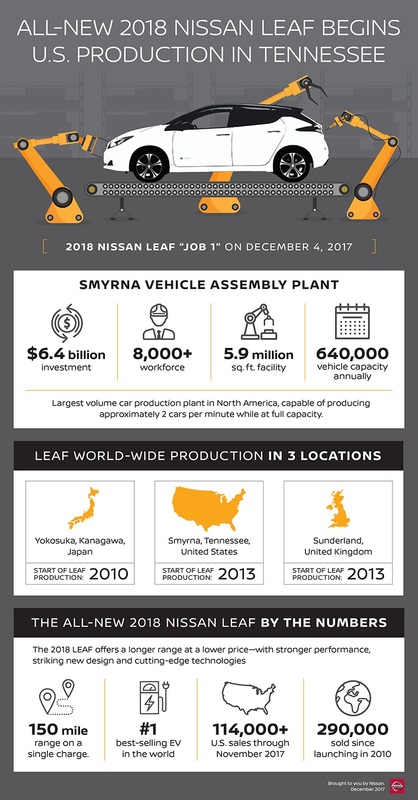 Nissan has been building the Leaf nameplate in the UK since 2013, selling over 85,000 units on the Old Continent, including those built at the Oppama plant in Japan, since 2011. 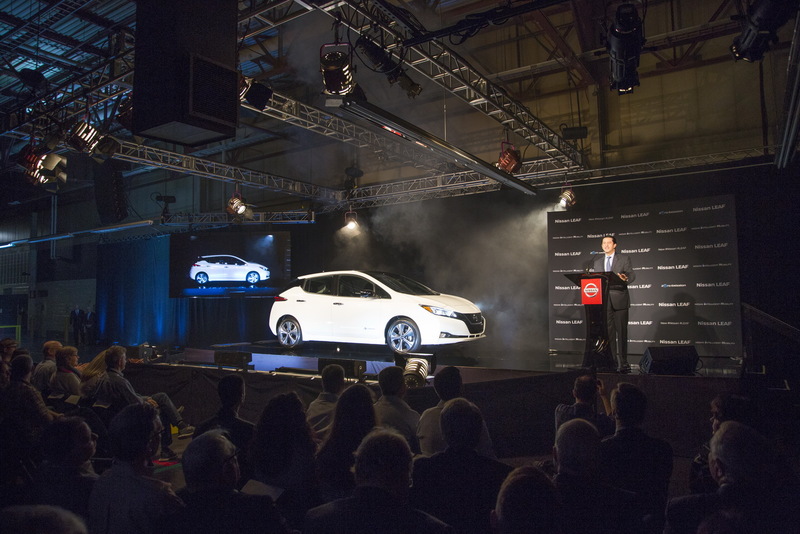 “We’re excited to start production in Sunderland and to bring the new Nissan Leaf to European markets from February,” said Nissan Europe manufacturing VP, Kevin Fitzpatrick. The all-new Leaf comes with a driving range of 235 miles (378 km) on a single charge, and also features new technologies such as the new e-Pedal, the ProPILOT system, or the ProPILOT Park. Aside from building the new Leaf, Nissan’s Sunderland plant is also responsible for the Qashqai and Juke crossovers, as well as Infiniti’s Q30 and QX30 models. Due to its output of over 9 million vehicles per year, it is the biggest UK car plant of all time. 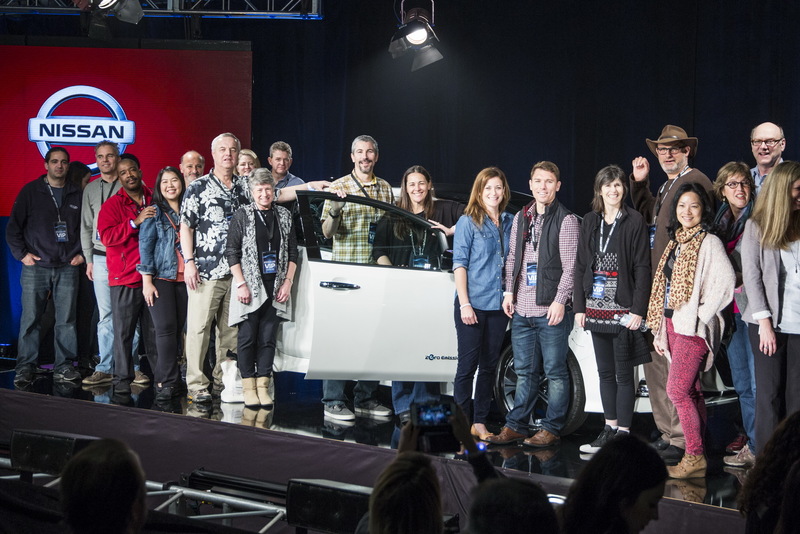 While the all-new 2018 Nissan Leaf hasn’t entered the U.S. market yet, future buyers can look forward to purchasing a car that’s significantly improved compared to its predecessor. 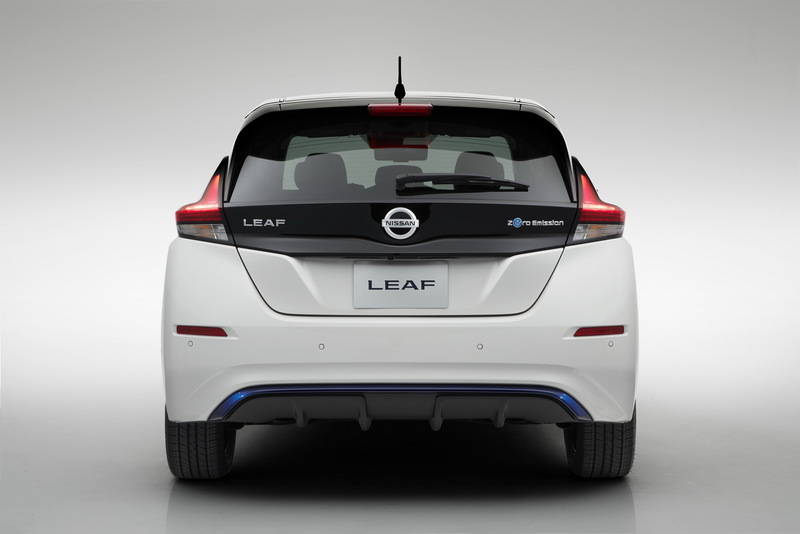 Even though it featured a familiar 5-door hatchback appearance, the design was of the fist-generation Leaf was quirky, to say the least – but that was probably intentional on Nissan’s part in order to emphasize that this wasn’t a conventional hatch but an all-electric model. For the most part, the 2018 model managed to avoid looking “too different,” and is now scheduled to go on sale nationwide in January, priced from $29,990. It also happens to be superior to the first-generation in multiple categories, as shown in this comparison chart put together by NissanPartsPlus. 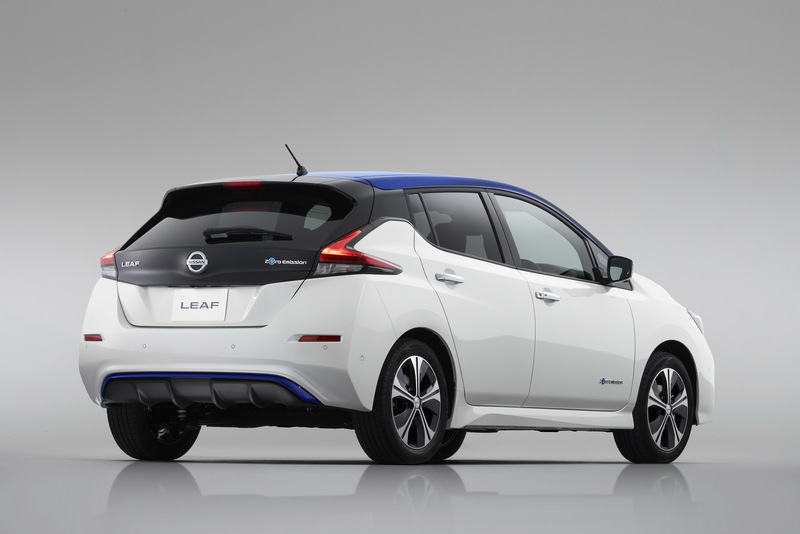 Since the 2018 Leaf is heavier, Nissan gave it a more powerful 110 kW (147 HP) engine, helping it get from 0 to 60 mph (96 km/h) in 8.8 seconds, compared to its predecessor’s 10 seconds. The newer model is also more aerodynamic, has a larger battery, twice the driving range, and more cargo room. The icing on the cake is that, if you adjust for inflation, you’ll see that it’s also cheaper to purchase. Well done, Nissan. 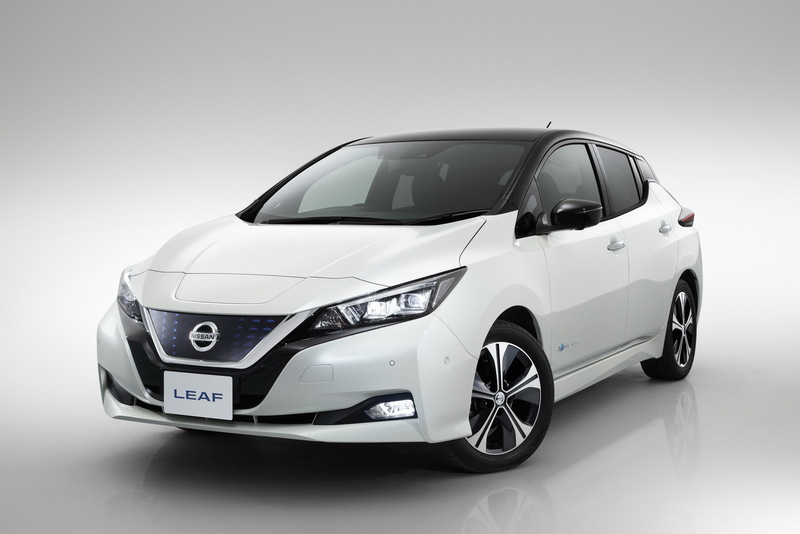 The new electric Leaf has arrived in the UK and Nissan is launching it with an attractive offer for the special 2.Zero edition. 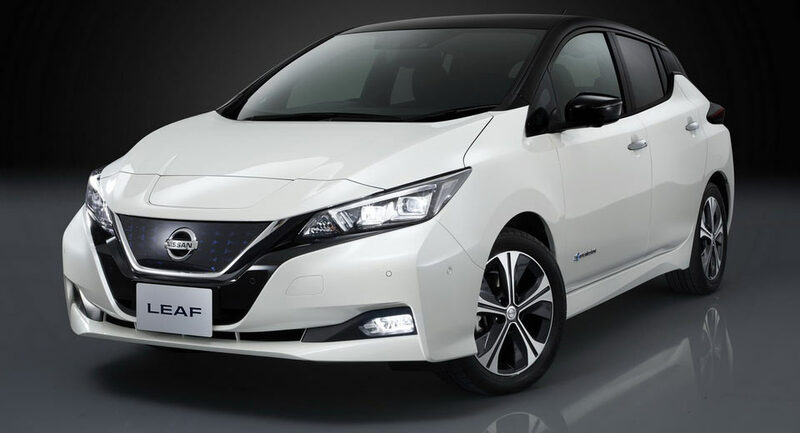 Customers in the UK are now able to get the new Nissan Leaf 2.Zero Launch edition through a competitive deal that includes monthly payments of just £339 on a 3 year/10,000 annual mileage PCP and a £5,138 customer deposit, combined with £1,000 dealer deposit contribution. 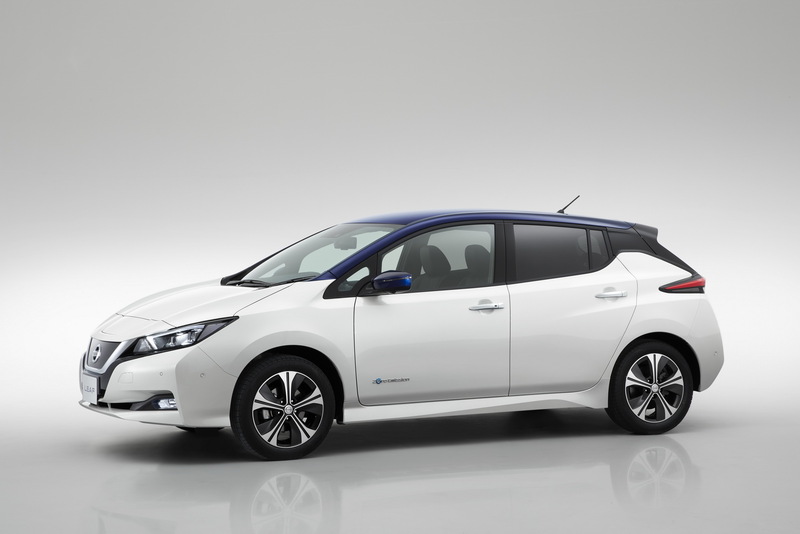 Existing Leaf owners, or other Nissan models on contract purchase, are eligible for an additional £500 deposit contribution which reduces the monthly payment to £324. Customers who’ll buy a Leaf 2.Zero can also apply for the new 7kW Home Charging Unit (worth£859 or £359 with OLEV grant) at no cost. The special 2.Zero edition of the new Nissan Leaf is limited to 1,500 units and is available in two colors –Spring Cloud and Pearl Black. 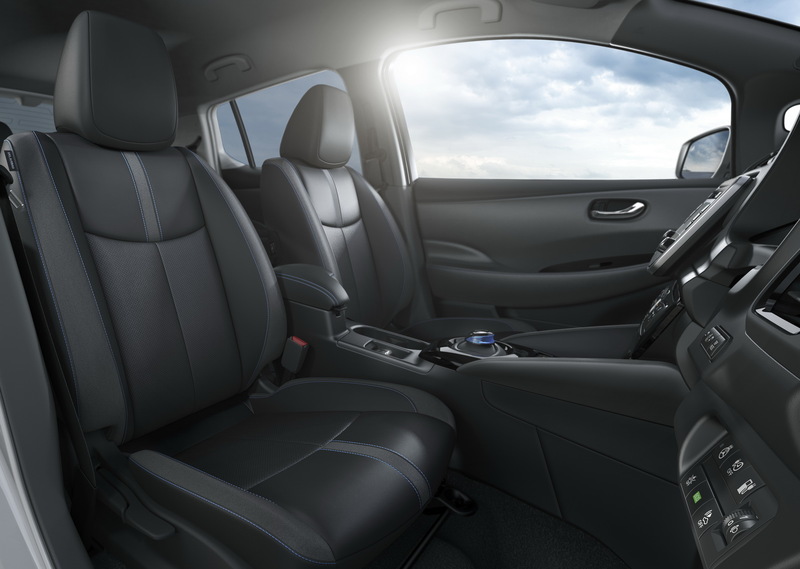 Features such as 17-inch alloys, front and rear heated bio-fabric seats, automatic air conditioning, a seven-inch touchscreen infotainment system, the Intelligent Around View Monitor and active cruise control are all standard. 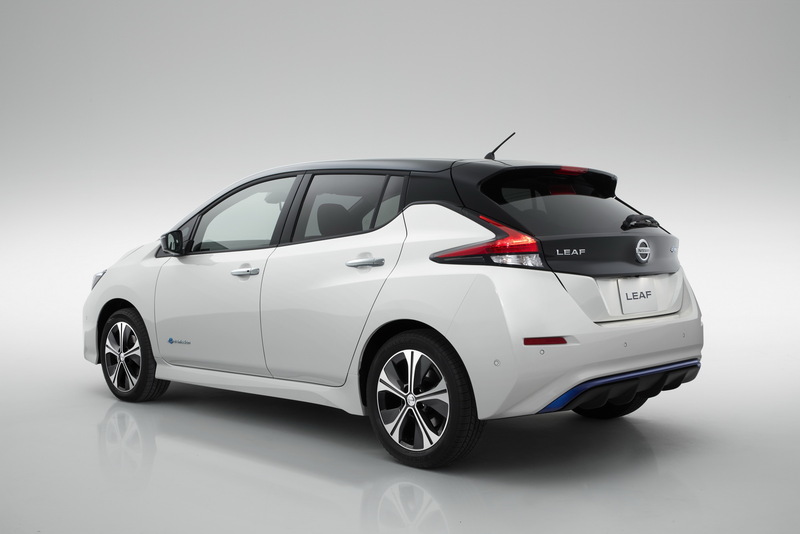 The new Nissan Leaf can also be equipped with the company’s ProPilot semi-autonomous system. 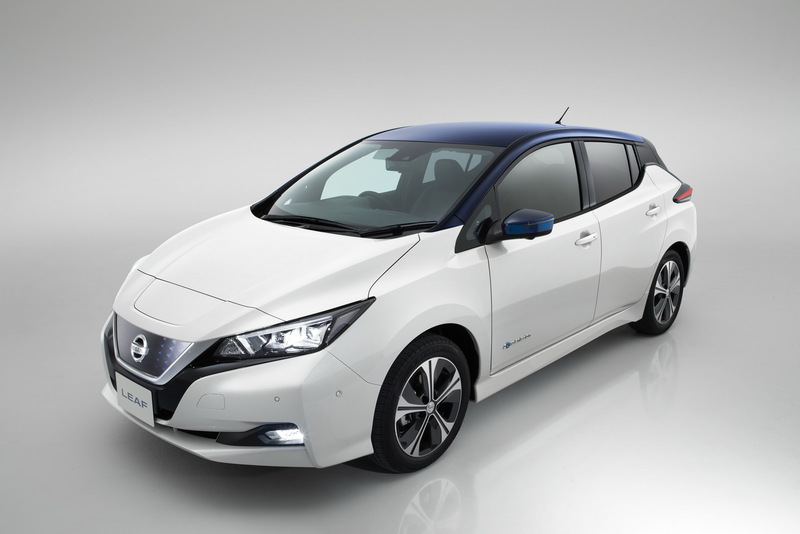 Offering a total driving range of 235 miles according to the NEDC, the new generation of the Nissan EV is priced at £26,490 including the UK Government Grant. The first deliveries are expected in early 2018. 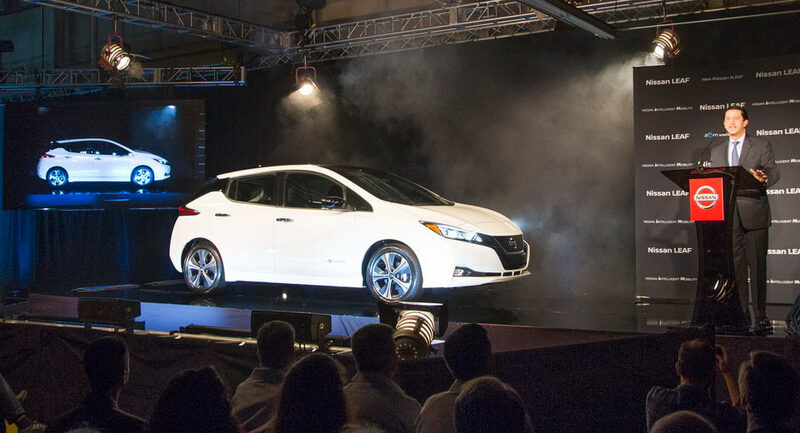 The all-new 2018 Nissan Leaf has entered production at the company’s assembly plant in Smyrna, Tennessee ahead of its U.S. market launch. Set to go on sale nationwide early next month, the all-new Leaf will be priced from $29,990, offering a driving range of 150 miles on a single charge. 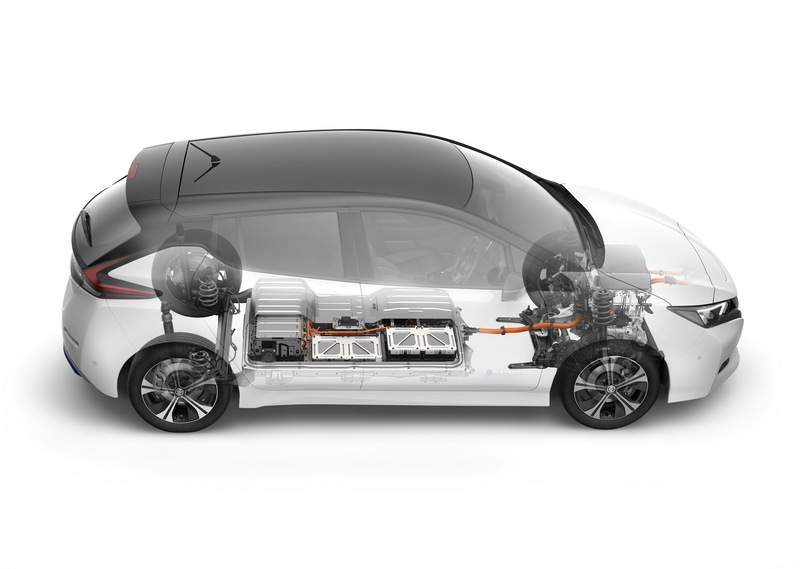 A 40kWh battery pack feeds a single electric motor with 147hp and 236lb-ft of torque. A full charge takes 16 hours via a 3kW plug, 8 hours from a 6kW plug while the quick charging function can charge a depleted battery to 80 percent in just 40 minutes. Along with the 2018 Rogue, the new Nissan Leaf offers the company’s semi-autonomous Pro-Pilot Assist technology. Other features include Automatic Emergency Braking and the e-pedal tech, which allows drivers to accelerate and stop using just the gas pedal. 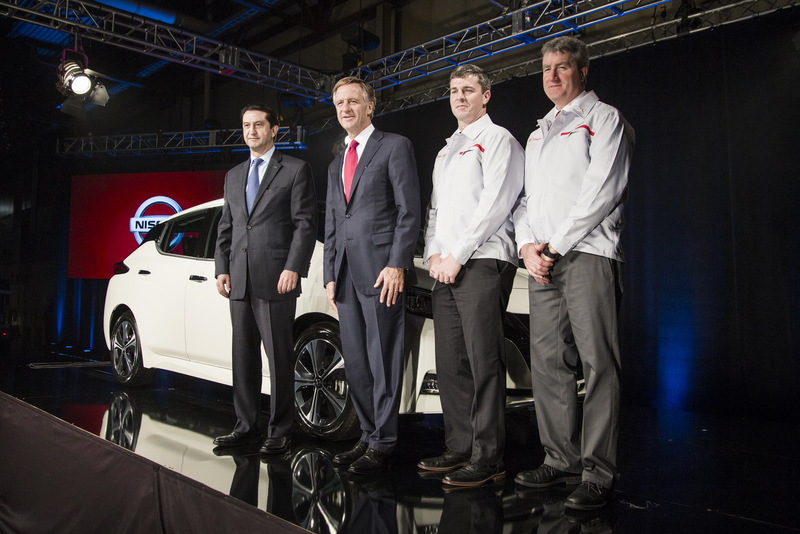 Nissan’s Smyrna facility currently produces six models, including the Altima, Leaf, Maxima, Pathfinder, Rogue and the Infiniti QX60. 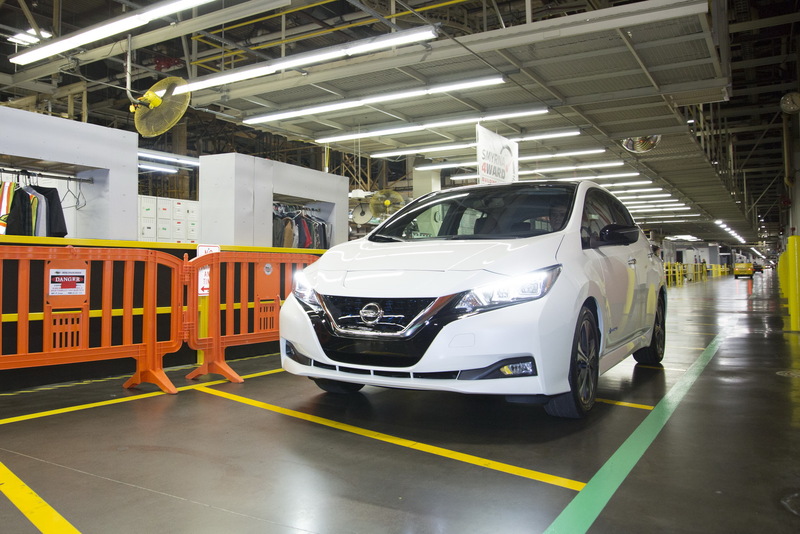 Other factories building the new Nissan Leaf include the Oppama Plant in Yokosuka, Japan and the company’s Sunderland factory in the UK. During the 2011 Tokyo Motor Show, Nissan unveiled a NISMO-tuned Leaf EV, wearing a bulbous aero kit that didn't really scream "sporty". Before Nissan’s all-electric SUV premieres at October’s Tokyo Motor Show, Behance designer Kbleber Silva has rendered the vehicle. After previewing the new Leaf Nismo Concept yesterday, Nissan has now pulled the cover off the show car officially, ahead of its public debut set for later this month, at the 2017 Tokyo Motor Show. Nissan has used its Futures 3.0 event to show an image of the upcoming Leaf Nismo concept. 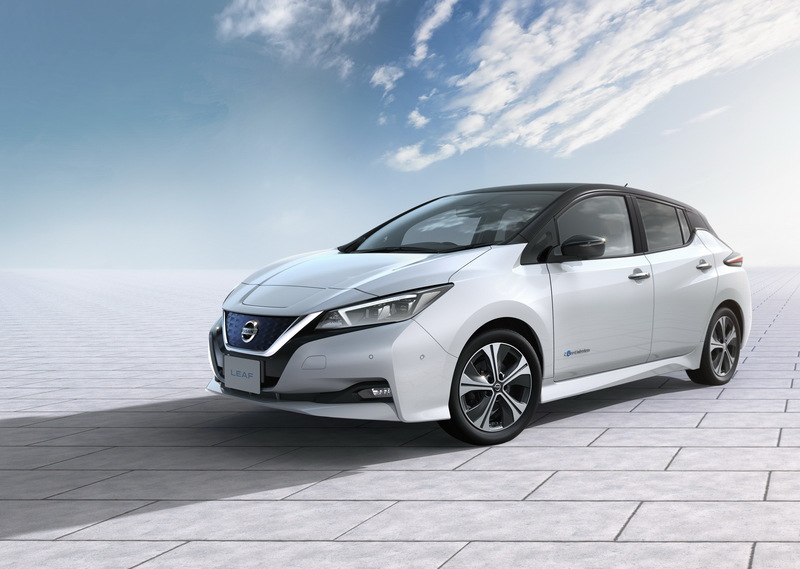 Nissan launched the new all-electric Leaf in Europe at a special event in Norway, which now enters its second generation with a fresh design and plenty of new technologies, including Nissan’s ProPilot semi-autonomous system. Taken into its second generation just last week, the all-new 2018 Nissan Leaf is trying out a virtual Nismo suit, and it's not only for kicks. Nissan will unveil an all-new electric SUV at October’s Tokyo Motor Show based on the underpinnings of the latest-generation Leaf.